The passionate and soulful vocalist Angelita Montoya, daughter of dancer Antonio Montoya and singer La Negra, is from one of the most famous Gypsy flamenco families, the Montoyas. Since making her debut at the age of nine in Nuevo día directed by Lole and Manuel, she has worked with Familia Montoya, Fernanda de Utrera, Chocolate, Camarón, Chano Lobato, Manuela Carrasco and Pastora Galván, among others. 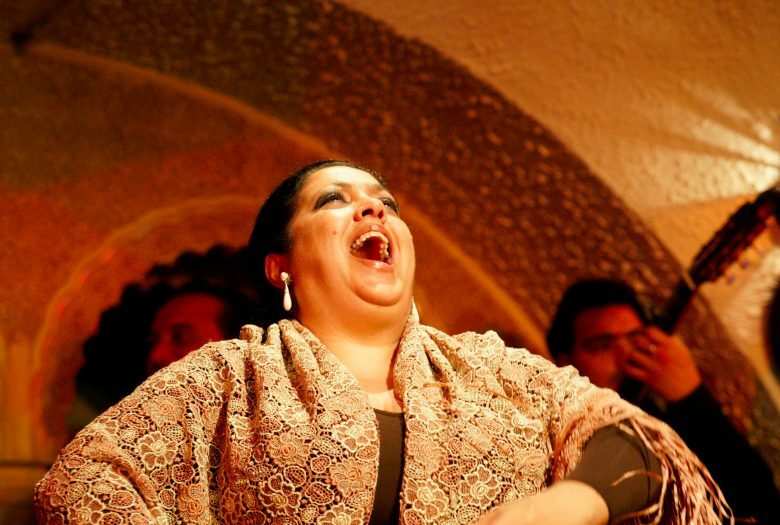 Acclaimed for her deeply expressive interpretations of martinetes, malagueñas, soleás, seguiriyas, tangos and bulerias, she has appeared at major flamenco festivals, including the Bienal de Sevilla. For this program, she will present Versos olvidados (Forgotten Verses), a 90th anniversary tribute to the women poets of the Generation of 1927 who have long been forgotten. Their poetry, now rescued, has been put to the music of Alejandro Cruz Benavides. Accompaniment by Benavides on piano and Fran Cortés on guitar.